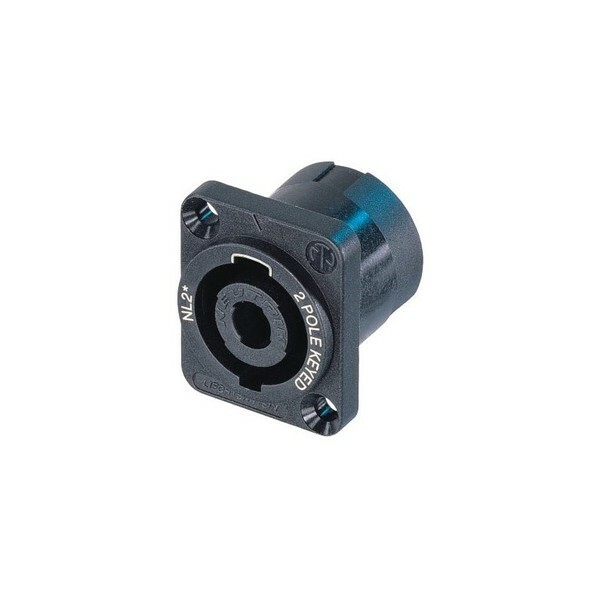 The Neutrik NL2MP 2-Pole Male SpeakON Chassis Connector ensures exceptional durability and reliability, making it the industry-standard for loudspeaker and amplifier interconnectivity. Equipped with Neutrik's unique metal locking system, the connector makes contact only once your cable is fully locked in. Each Neutrik SpeakON receptacle is built to last, with robust construction, versatile operation, and simple termination. This airtight design has been optimized for speaker applications. Please Note: This 2-pole connector does not intermate with the Neutrik 4-pole cable connector.